While I’m on a roll, this is my current computer location. 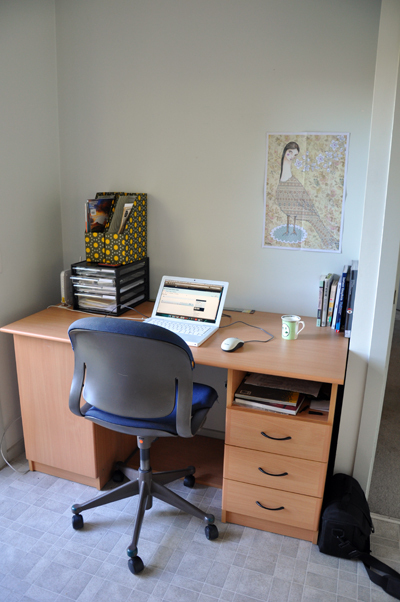 Probably the neatest area of my house at the moment… my whopping huge desk is in the study where the globe has blown and is covered in a whopping huge printer and a lot of paper and books… besides getting through to it as difficult as there are still boxes all over that floor. 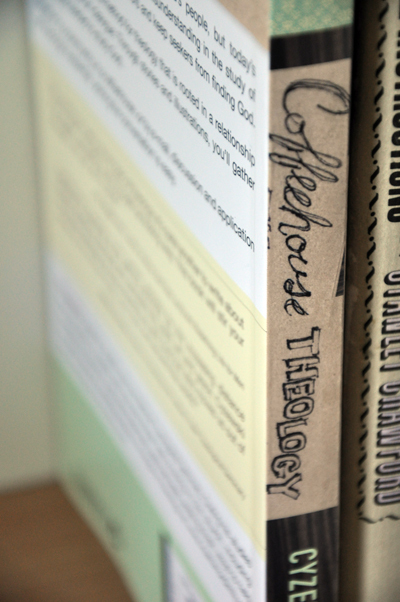 And the Coffeehouse Theology book finally arrived today, as did a very belated 18th present for my little sister.